Maine Secretary of State Matthew Dunlap says someone is videotaping voters as they sign petitions in polling places, raising concerns of voter intimidation. Dunlap said Tuesday he received reports in Portland and Old Orchard Beach of voters being videotaped as they signed a petition seeking to put a gun control referendum on the 2016 ballot. Dunlap said the law is silent on the issue. He said there's a fine line between First Amendment protections of free speech versus intimidation or harassment of voters. He said it's up to election wardens to maintain order at polling places. 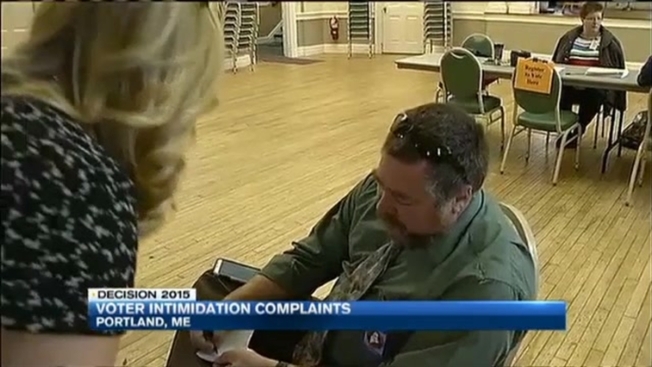 Zach Heiden of the American Civil Liberties Union of Maine saw the videotaping when he voted. He says voters at polling places should be "free to read, to think, to reflect and to vote."